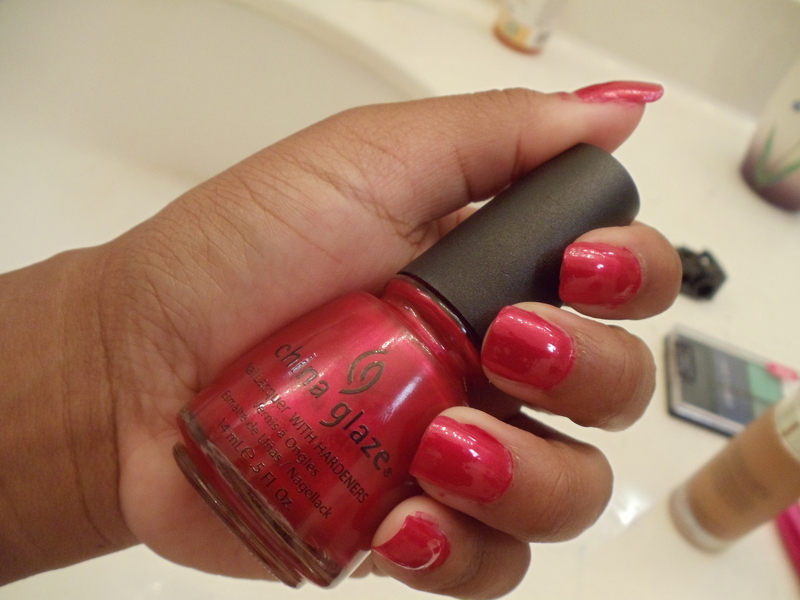 Well at least my new China Glaze in Salsa makes ME want to dance. It’s such a pretty red with a nice shimmer to it. It’s my first “nice” nail polish and I love it!There’s something about red that just really makes my nails stand out. 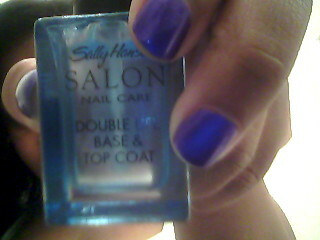 This polish was just calling my name when I was in Sallys. 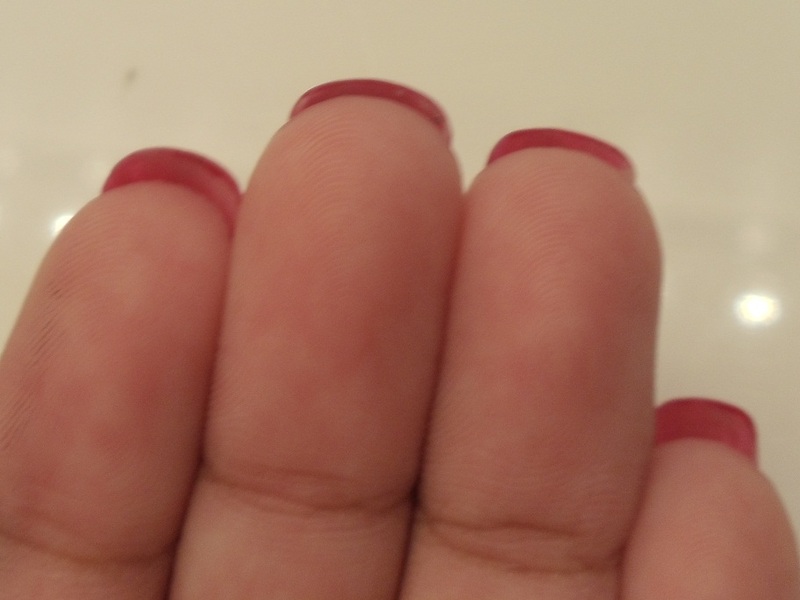 If you’re really worried about chipped polish, drag the brush across the edge of your nail. 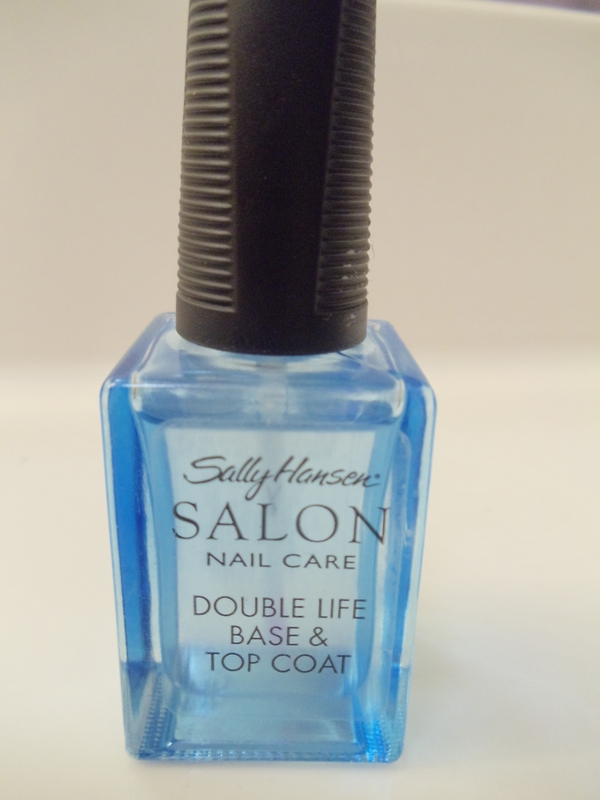 This will leave a little line of nail polish under your nail and further prevent chips. It won’t necessarily make your manicure last longer, but running semi dry nails under cold water will make them dry faster. I hate hate hate chipped nail polish. It just about ruins my day looking down and seeing my nail polish have chips. Well I have found the answer and it was just my luck that the answer was 75% off at Rite Aid. 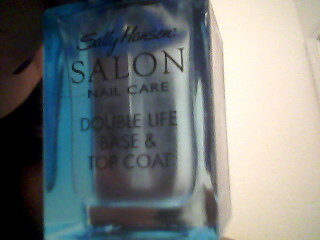 This is my baby, the Sally Hansen Double Life Base & Top Coat. This bad boy claims to extend the life of your manicure for up to 10 days. I’ve only had it on for 4 days, but so far its holding up fairly well.